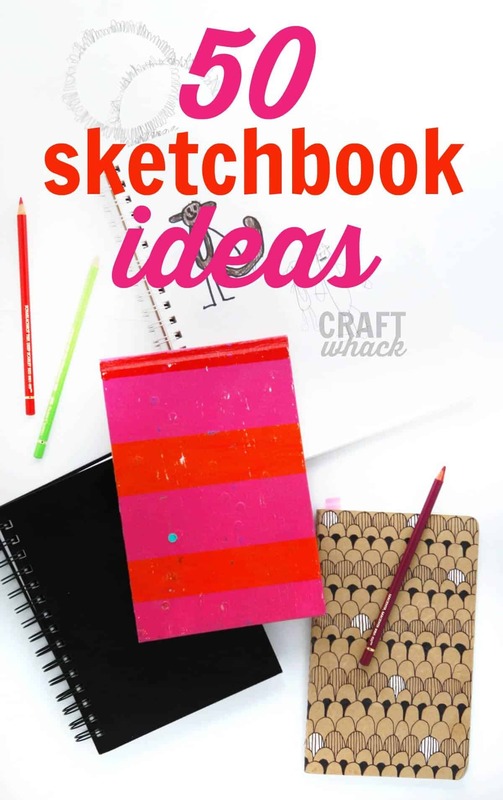 With all of the art techniques and project ideas for kids floating around Pinterest and blogs, it can be confusing to get to the basics of what you should start your kids out on. These are the art projects I grew up with, and hopefully all of you did, too. 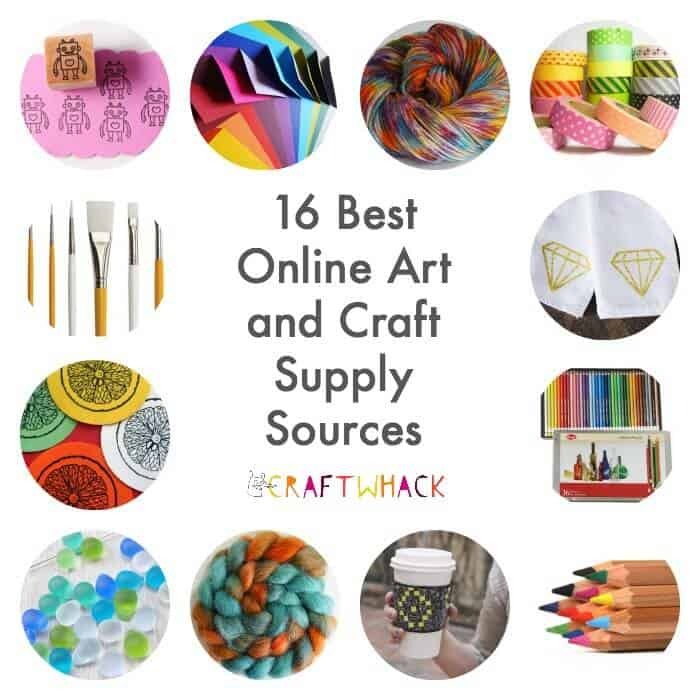 Most of them use minimal art supplies, or are at least easy enough for anyone to do. Some are messy, some are not, but all of them are fantastic introductions to art processes for kids. First up is potato prints. 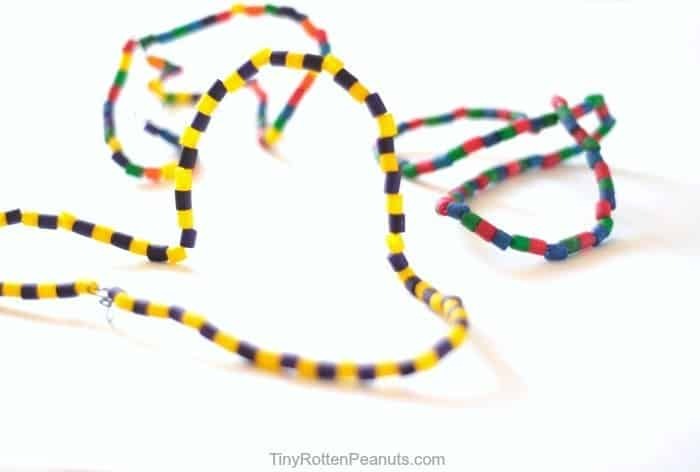 I made these a few years ago with Beckett, and we both had a blast. Potatoes are hilarious in general, and when you start carving them up and printing with them, all sorts of magic happens. 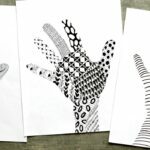 Most kids have at least one thumb, so they may as well use them to make art. 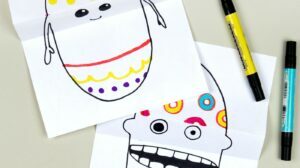 Press them into stamp pads or color them with washable markers, press them onto paper and turn the prints into fun creatures using thin markers. Try ultra-fine Sharpies or Fineliners. 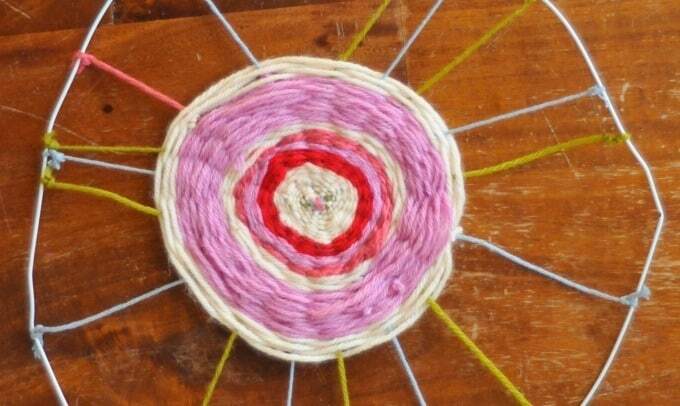 Weaving with branches and yarn. 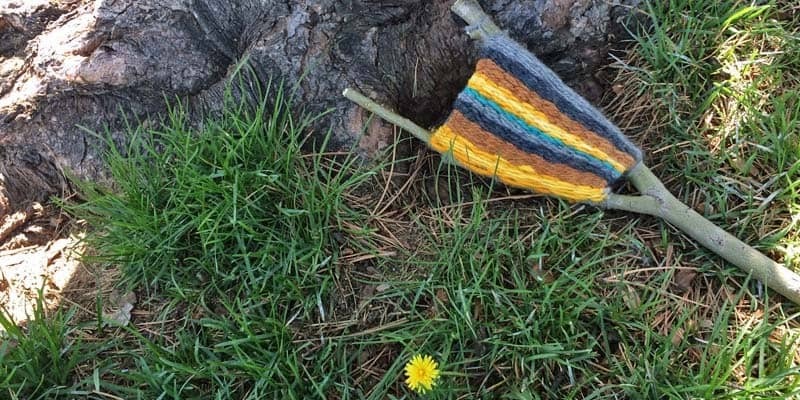 You may need to get the process started for your kids, depending on their ages or confidence levels, but they can certainly learn the weaving technique with this fun nature project. Alternative: God’s Eyes, that classic camp craft. I absolutely adore paper collage because you can use virtually any paper, and then you can cut, rip, or punch out the paper into shapes to make all sorts of collages. This is open-ended art at its finest. Try using old book pages or scans of book pages, magazine pages, colored tissue paper, art papers, newspaper, colored paper, insides of security envelopes, even wax paper. Keep a little paper scrap bin going…. We also had fun making mixed media texture collages a few years back. And here is paper collage-turned-sculpture. 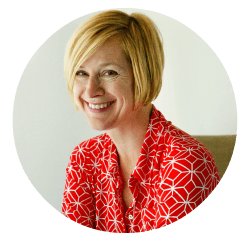 Do not be intimidated by the incredible messiness of plaster. It is so so so so so messy. (See what I’m doing there? I’m psyching you out but trying to intrigue you at the same time.) It’s actually very easily clean-uppable, and kids are fascinated by it. And actually plaster masks use pre-plastered strips which make it a little less messy. 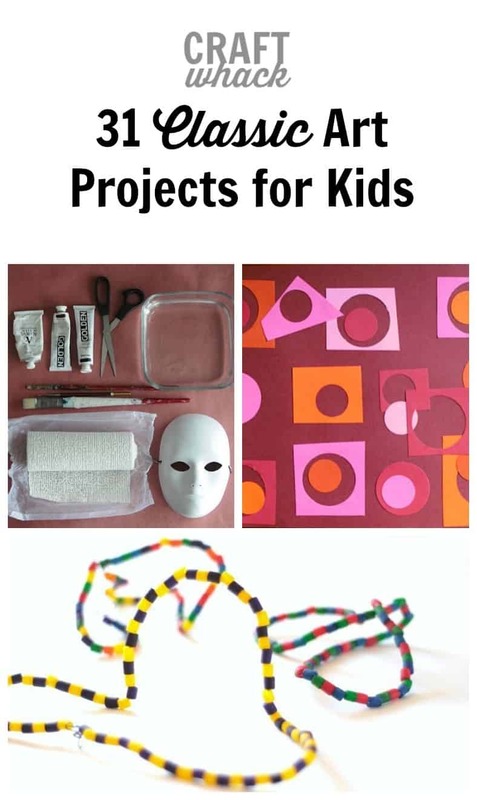 You can give your kids a little built in art history lesson by making this African mask project. 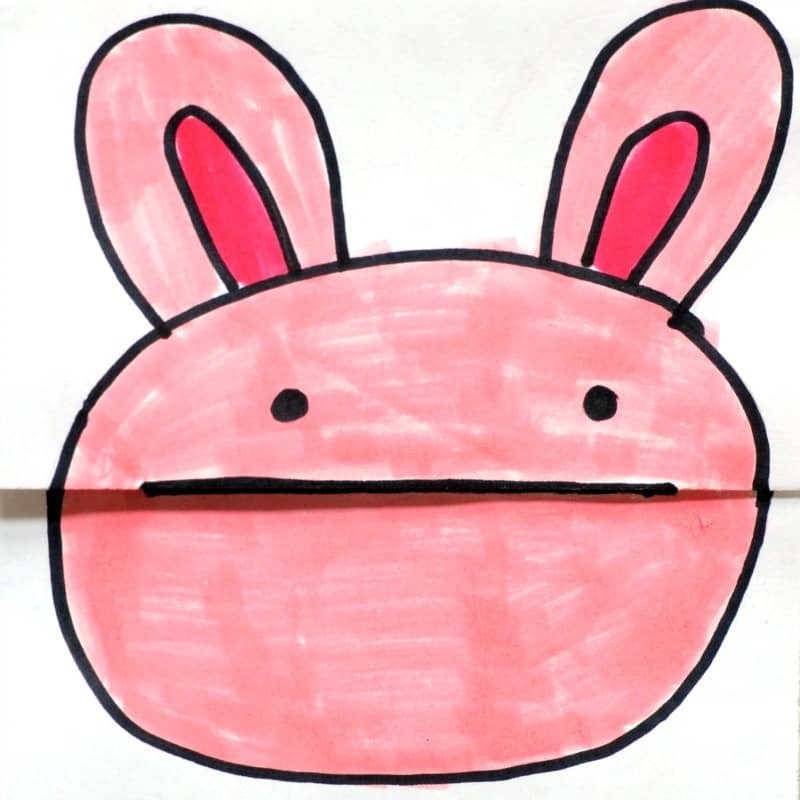 I’m not sure why this was always my favorite art thing to do as a kid, but maybe it was because of the surprise factor. Holding paper over some texture and rubbing the side of the crayon on your paper is so satisfying and all about instant gratification. These are actually fun to collage with or use as backgrounds for art projects. If there were an award for the ‘most classic’ kid’s art project, finger painting would win hands down. Okay, so maybe this is more of an art supply than an actual project, but I feel like oil pastels are such an amazing classic art supply for kids, especially used on black paper to really pop the color. I think when kids use these for the first time, all of them probably wonder why they would ever use plain old crayons again. 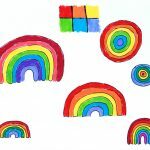 This is a great oil pastel project for any age, because they can tackle it with more or less detail. Your kids can’t beat each other up while their fingers are full of yarn. 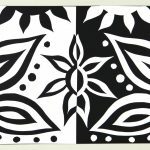 Paper weaving is great because you can make it as simple as can be by weaving strips of colored paper together, or you can totally spice it up by making your own printed or painted papers and then weaving them. 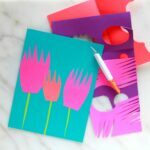 Wee littles will love weaving neon colored card stock or finger painted paper, while high schoolers might have fun weaving gelli plate prints or watercolored papers. Here’s how to make a basic paper woven mat. If you haven’t made these vessels with clay, you haven’t lived. Or something like that. Anyway, it’s a great intro to working with clay to learn how to make pinch pots and coil pots. These seemingly simple techniques are perfect starter projects to get a feel for working 3 dimensionally and are the knitting and purling of the hand building with clay world. Learn to make mini decorative clay slab bowls here. It’s pretty hard to get through childhood without tie dying something at least once. At its most basic, tie dye is such an exciting crafty technique for younger kids who can then delight in wearing their creations. Going a little further with it can be an exploration in dyes, colors, and pattern techniques. 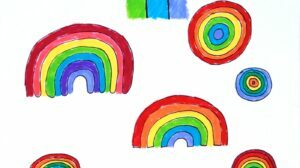 Another magical art project that’s so easy. You basically lay tape down (we always use blue painter tape) and paint over it, then peel the paint away to see the cool results. The clean shapes left by the tape look good no matter how messy the paint is! 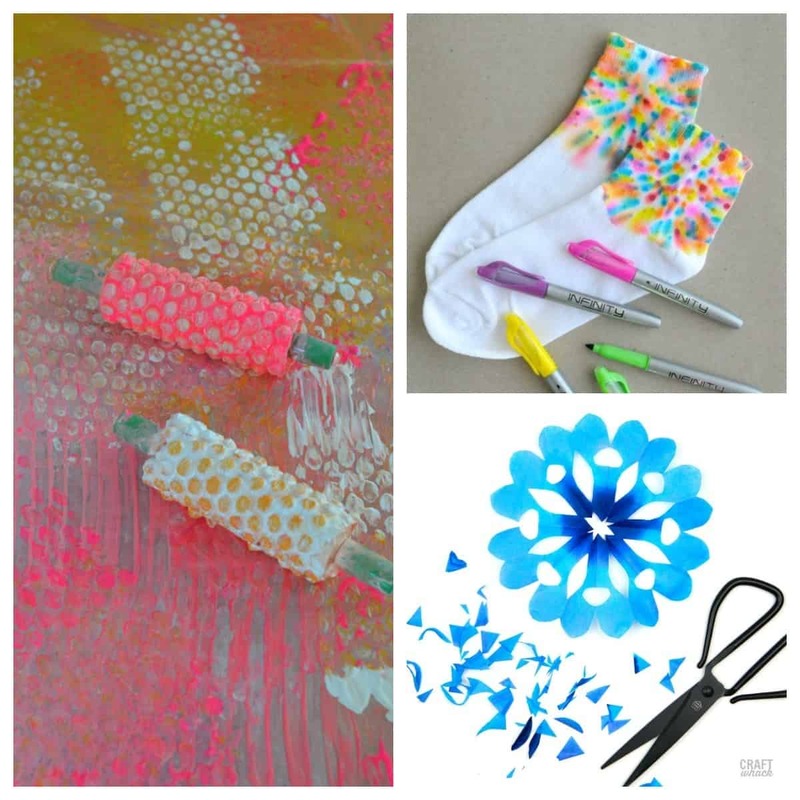 Get into the Spring mindset with this tape resist flower project. It is utter torture for me to throw out the styrofoam meat trays and to-go containers, and not just because they are horrible for the environment. I always feel a huge urge to make styrofoam prints with them. Every. Single. Time. An alternative to these trays is craft foam, which probably still will never break down in a million years, but is nearly impossible to resist buying sometimes. Don’t forget to grab a paint roller (brayer), and card stock or printmaking paper. Classic! Draw with crayon and watercolor over the top of it. White crayon is the most dramatic, but of course you can use any color you like. Again, I’m a big proponent of beeswax crayons. P.S. Marker also resists the crayon, so you can color over the top of it, too. Similarly, you can make paper pulp from old newspapers and make bowl with that gloppy goodness. I LOVE BLOCK PRINTING. You will need to help your younger kids carve their blocks, but they will enjoy drawing their designs and stamping them all over the paper. 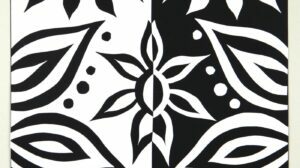 You can go very simple all the way up to detailed drawings with block printing and have fun with this technique forever. I love how it can go from crafty stamping to intricate fine art with basically the same supplies. Something else to make with the vats of dyed pasta you now have are these cool pasta mosaics. 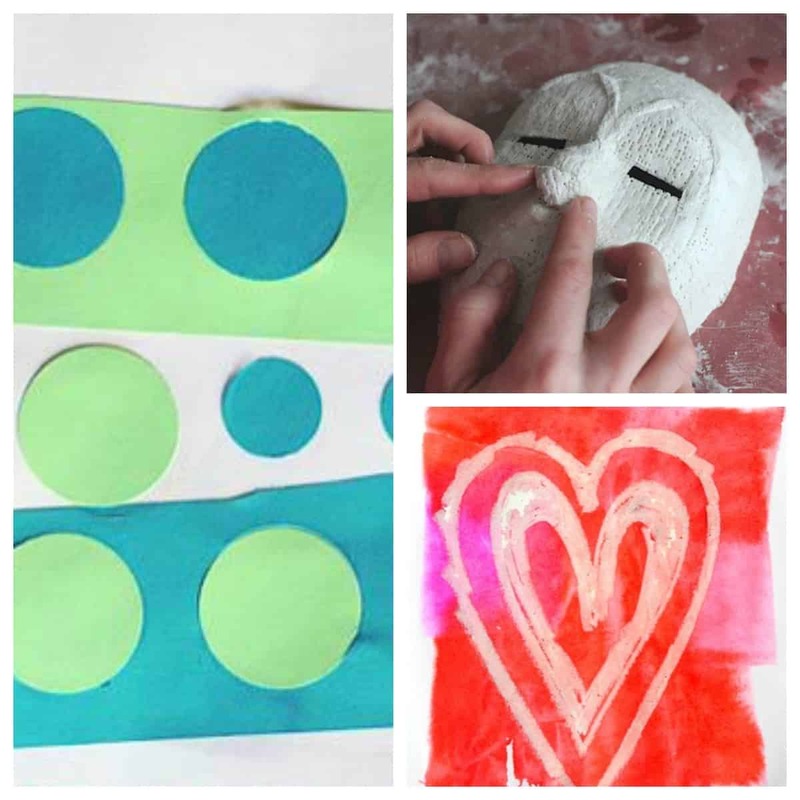 Mosaic is just plain awesome, and kids can make their own mosaic objets d’art quickly using plaster of paris. I love this take on the technique, allowing young kids to make little treasure tiles. Surprisingly, there aren’t many tutorials out there for plaster bead mosaics, so I think I need to add that to my list of projects! Origami is another classic art project that can go from extremely simple to damn near impossible to pull off. For example, my origami giraffe tutorial is simple as pie, so go try that with your kids and then show them these origami masterpieces. Mind blowing. Let’s not forget that the world changes, trends come and go, people gravitate toward new ideas, and I could go on and on with these platitudes. 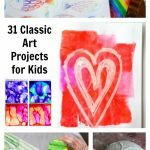 Instead, let’s just keep this post going by exploring some of the modern classic art projects for kids. 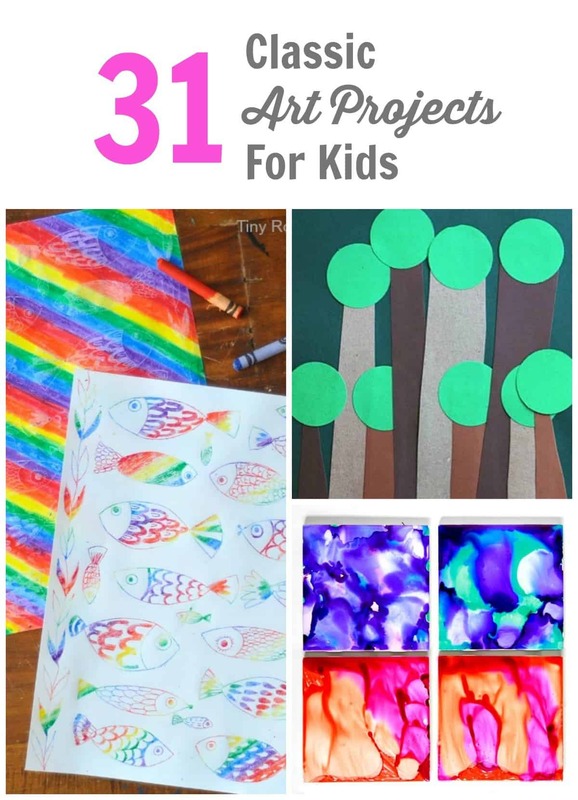 These art projects are my own personal version of classics that all kids should try out. And, as with every art technique, if you haven’t tried these yet, do yourself a favor and roll up your sleeves and make some art. Oh, now this is cool. 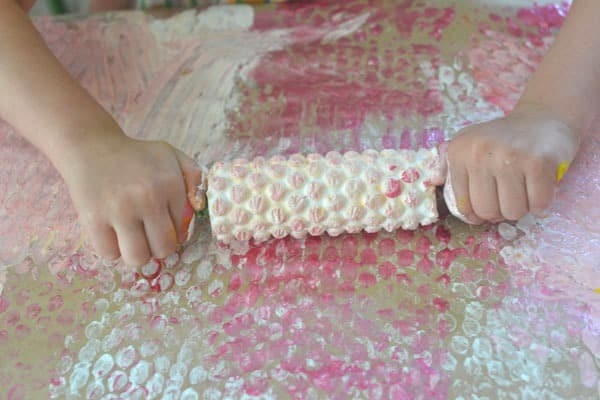 You thought kids had fun POPPING bubble wrap, but wait ’til you let them paint on it and make prints. This is easy, textural art play at its best. I love Art Bar’s take on this idea. I don’t know abut you, but whenever I think of shaving cream, I think of that cheap can of Barbasol, and I can practically smell the blindingly odiferous scent. 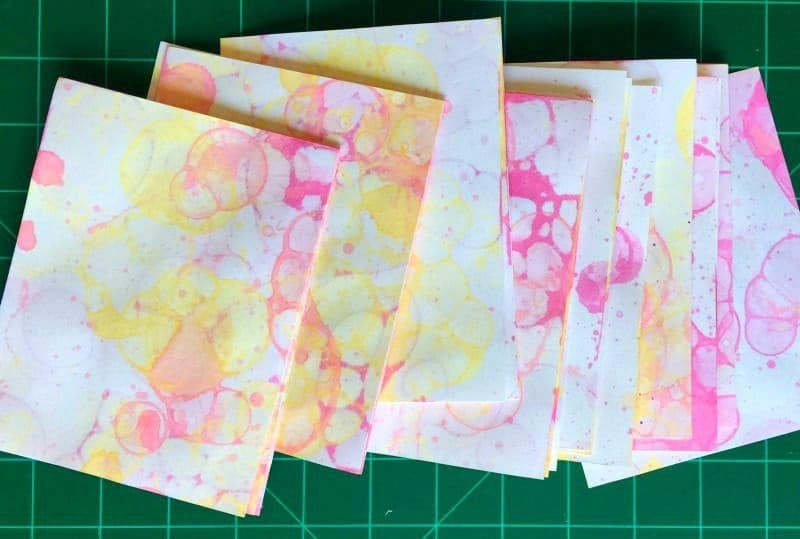 Let’s just embrace that smell for this project as part of the whole sensory experience when making art, because you will be using a lot of shaving cream with this marbleizing project. Here’s an even easier shaving cream art activity for our preschool buddies. When I tried crayon transfer for the first time I had no idea how fun it would be. This technique take s a little bit of time, but is so easy and adaptable. It can also be done with oil pastels, which might actually be a little faster than crayons. Again, can I stress my love for beeswax crayons? Also, have you tried painting with melted crayons? Sharpie t shirts, napkins, I don’t even know what else. 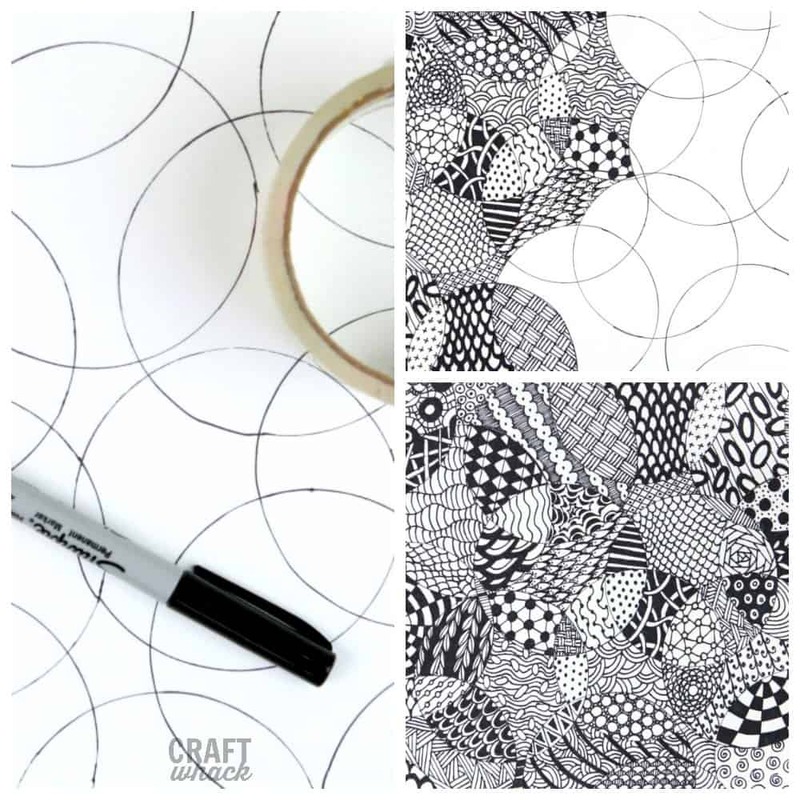 We’re Sharpie freaks around here, so whatever we can make with them, we will. This is a project we made at home after my first kid did it in art class. I had to try my hand at coat hanger weaving, and boy did it not disappoint. When bleeding tissue paper came on the scene, a new classic was made. Kids love this technique, and it’s a unique way to get colors onto a surface. 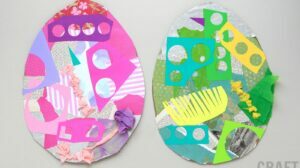 We’ve done bleeding tissue paper on card stock, but don’t be afraid to experiment with other surfaces, such as Easter eggs. The vibrant, yummy colors you can get when you use liquid watercolors on coffee filters is mind boggling. I did ombre with my dyed coffee filters, but you can use a few different colors for a tie dye effect. Kids like colors. 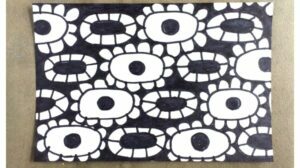 Zentangle, for those of you who don’t know, is a stylized sort of doodling, and it is massively appealing to kids and adults alike. 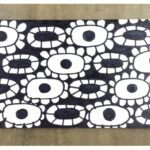 I have my own version of Zentangle, but you can find lots more about it on Pinterest and elsewhere. Mixing liquid watercolor or ink with bubble solution is the start of a really cool process for making bubble prints. I swear, you and your kids will want to make these all the day long, so make sure you have plenty of paper ready. Since it’s nearly impossible to resist buying tubs of foam shapes if you have kids, you will be happy to know they make fabulous prints. The sticker foamies are obviously easier, but you can always glue foam shapes on a piece of cardboard to use just as well. Leaves are everywhere around here in the Fall, so it was only a matter of time before people started using them as canvases. We like to use metallic Sharpies on ours. Okay, my fellas. That takes us up to a solid 31 classic art ideas for kids. That means you can tackle one a day during a long month, or maybe spread it out over a year with 2-3 a month. Or, wait! What if you did one a year with your kids for 31 years so they would still be living with you well into their 30’s? That sounds lovely. In any event, feel free to yell at me in the comments for projects I might have forgotten about. There have to be some classics that popped into your head. Also check out these 20 messy creative activities for kids. Say yes to mess.